The lighthouse at South Stack (Welsh: Ynys Lawd). 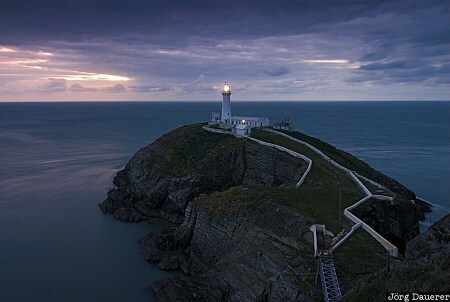 South Stack is an island just off Holy Island on the North West coast of Anglesey, Wales, United Kingdom. This photo was taken in the evening of a cloudy day in September of 2007. This photo is part of the exhibition Lighthouses of Northern Europe (Oct'15). This photo was taken with a digital camera.